January is the month for getting organized, right? Or to think about doing that, intend to get to it, and then feel guilty about not doing it. While that tends to be my approach, when I do get around to it, the key is generally this: having functional and appealing containers for sorting and storing. 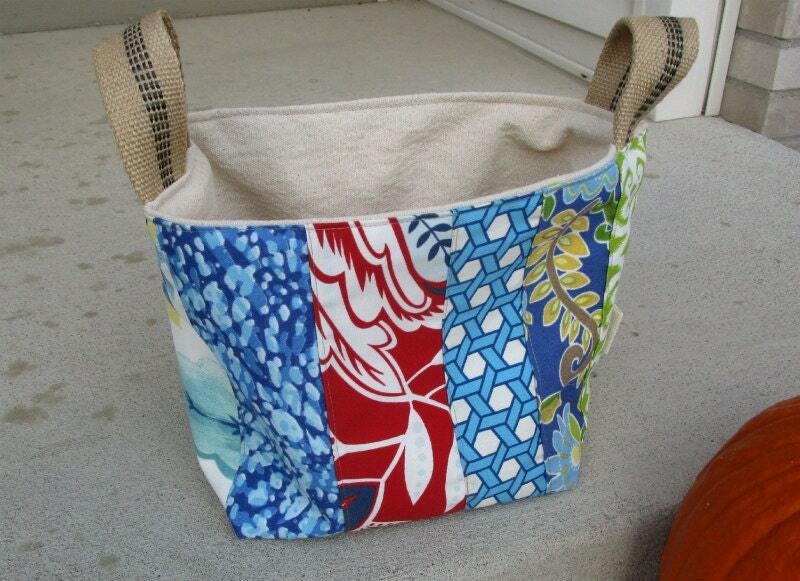 Fabric totes and bins are very versatile for both of those functions. Here follows a few Minnesota-made items in a variety of sizes for your organizing needs, including a sweet paper basket made from a child's picture book, and a clever holder for loose cords. 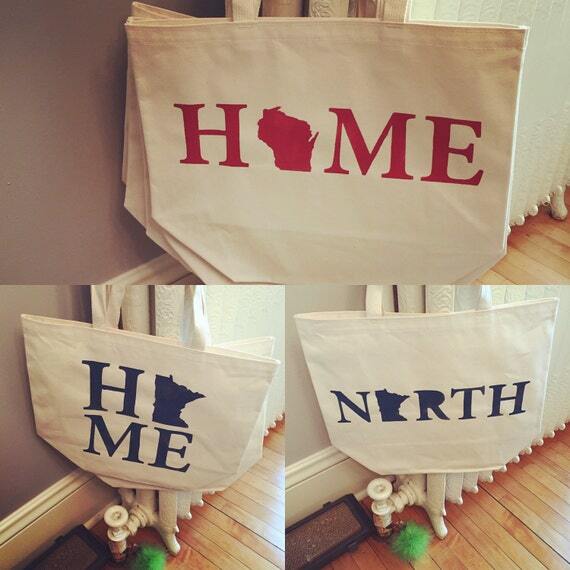 From LyricCol, consider these handsome sturdy canvas stenciled totes. I like to use totes when I have things that need to be kept handy, yet tidy and out of the way — like my tax records; because I might want to use my desk or dining room table for something else once in a while before April 15. This size is big enough for file folders and other large items; this shop also has several mini totes. This attractive lined fabric bin from Shaggy Baggy is about 8 x 9 inches, just right for your current knitting or crochet project, or for keeping medium sized things tidy. You can also get smaller bins without handles from this shop. They are all lined and have interfacing so they stand up nicely. 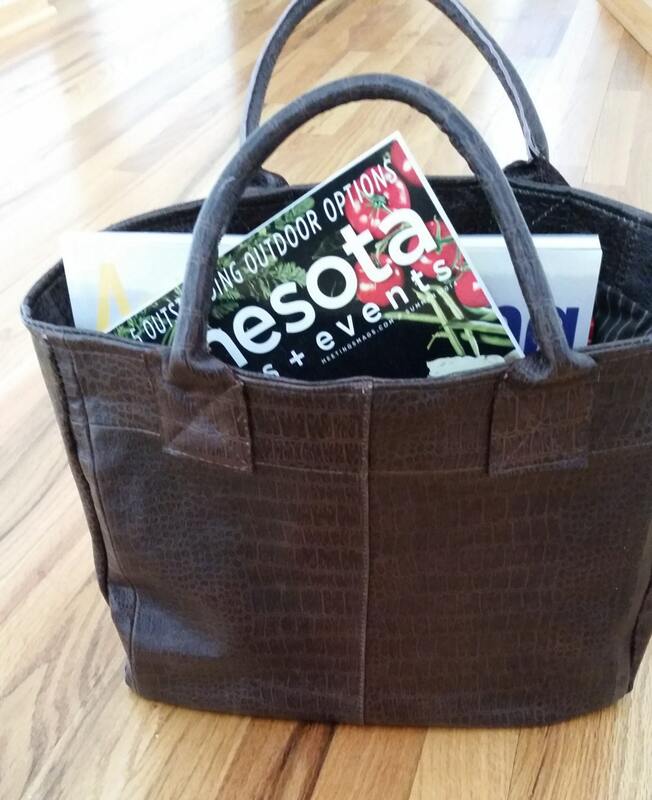 How about this upcycled leather tote from Sewing for the Harvest? It's a stylish container for those magazines and catalogs you aren't ready to recycle yet that have been cascading off the coffee table, and it's eco friendly, made from a former coat and lined with upcycled shirt fabric. Sometimes, loose items like earphone and phone charger cords can become a tangled mess, even if you do put them in a bin or tote. 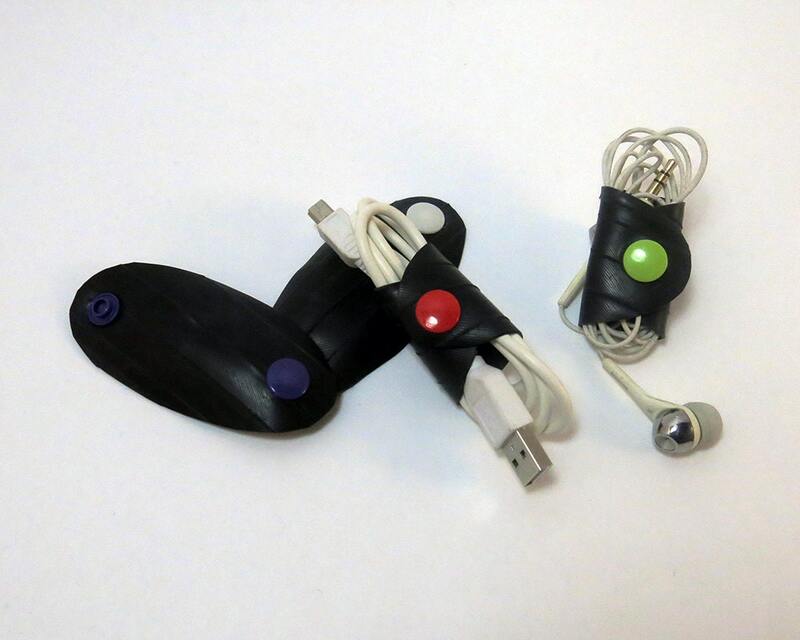 Bird Industries has the perfect solution for that — nifty little cord holders, made from bicycle inner tubes. For the top of a child's dresser (or for your desk, perhaps? 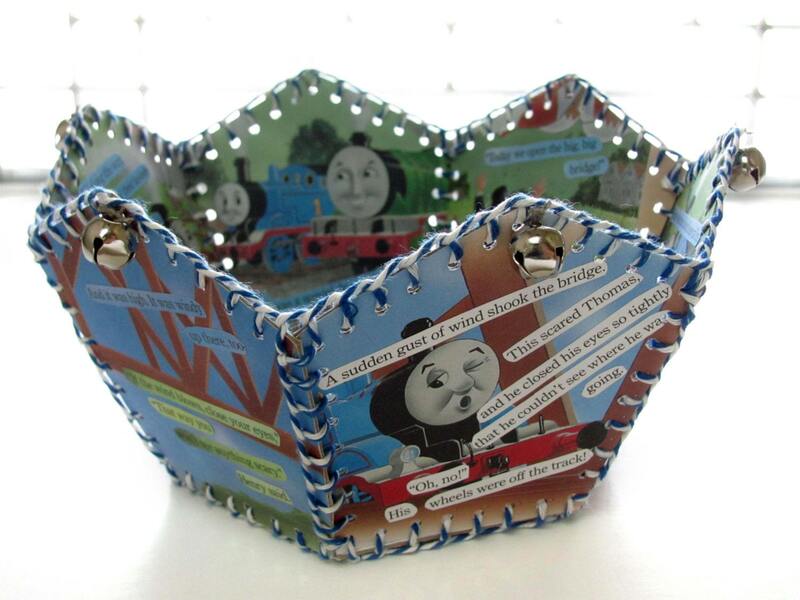 ), this paper bin made from a Little Golden Book offers a whimsical catchall for small items. One of several available from TC Witchcraft Factory. I've only shown one example from each shop, so be sure to click through to visit them on Etsy and see the full range of what they have to offer. They're always making new items, too, and will often take custom orders, if you like their style and have something particular in mind.